Towel trimmed with tape detailing. 650-gram, two-ply, long-staple cotton terry provides super absorbency and plush texture. 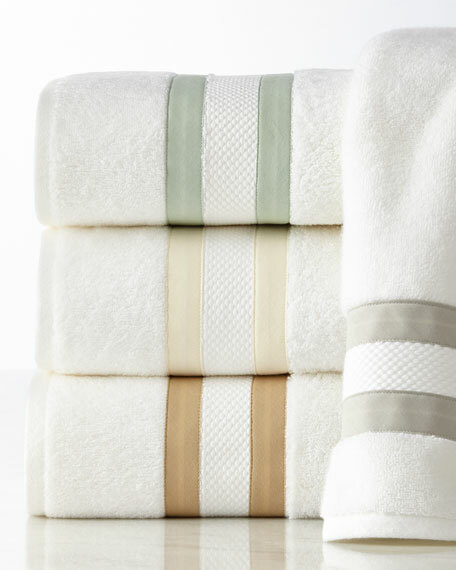 Fabric woven in Portugal; towels assembled in the USA. Face cloth trimmed with tape detailing. Bath rug trimmed with tape detailing. Tape trim available in your choice of colors.